Senate Minority Leader Chuck Schumer questioned Attorney General Jeff Sessions’s integrity after reports suggested he misled the Senate about his contact with Russian officials last year. He called for Sessions to resign. 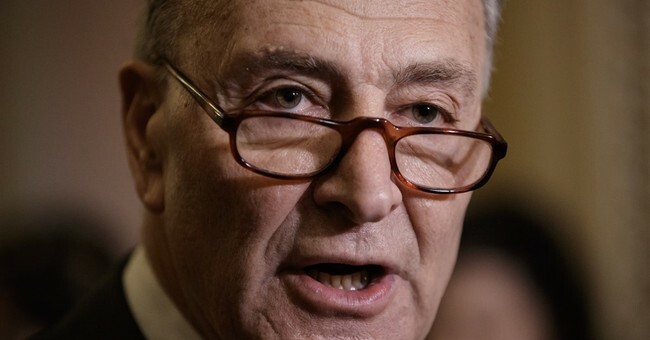 “There cannot even be a shred of connection” between our attorney general and the Russian government in terms of our elections, Schumer said at a press conference on Thursday. The matter, he insisted, requires a special prosecutor. If that condition is not met, the senator said the Republican leadership must insist on an independent counsel to look into the situation. “If the Justice Department drags its feet and refuses to appoint a special prosecutor,” Schumer said, they will urge Sen. Mitch McConnell and House Speaker Paul Ryan to work with Democrats to create a new independent counsel law which would give a 3-judge panel the authority to appoint an independent counsel. "The inspector general of the Justice Department must immediately begin an investigation into Sessions’s involvement to discover if it’s been compromised," Schumer explained. “The revelations are extremely troubling,” Schumer noted, also musing whether the president knew about the meetings and if those were the only two meetings between Sessions and the Russian ambassador.